We recently had the opportunity to review Breathe NH Fun Pass and are loving the savings! For just $32 you will receive a coupon book with incredible savings at amusement parks, zoos, museums, water parks, whale watches, and more. The Breathe NH Fun Pass coupons include over $1,800 in savings with deals and discounts to fun family attractions such as Story Land, Canobie Lake Park, and York’s Wild Kingdom. In most cases, coupons offer a child, 12 and under, a free or discounted admission when accompanied by a paying adult. Offers and deals vary by attraction. Get your Fun Pass today and start saving money while making happy family memories together. With all the different coupons, you might even discover some new places to explore! 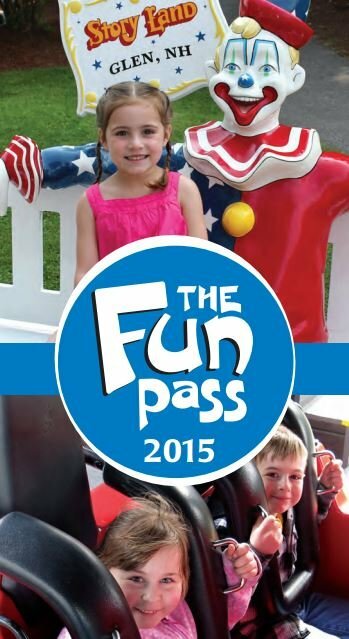 When you purchase a Fun Pass you are supporting Breathe New Hampshire. Breathe New Hampshire is a well-established, 501(c)3 non-profit organization that has become an integral part of New Hampshire’s public health landscape, focusing on critical issues related to lung health, such as tobacco use, COPD (chronic obstructive pulmonary disease), asthma, air quality and lung cancer. We provide educational programs, and support public health advocacy and scientific research focused on preventing, eliminating, and treating lung disease. We are very happy to be able to offer a Giveaway for a Breathe NH Fun Pass! Please visit this link for more information and to enter.